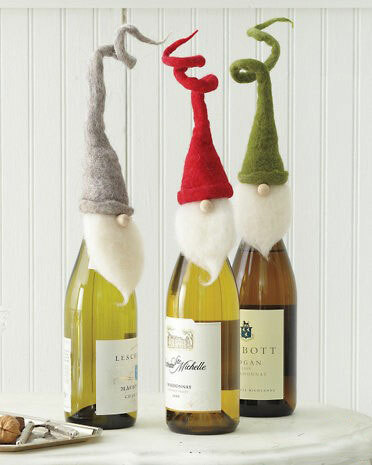 How adorable are these little santa heads, the perfect way to jazz up a simple gift of wine this Christmas. Felt hats, some cushion stuffing for little beards and a wooden button for the nose. Pic via Garnet Hill.